Diwali, the festival of lights, is being celebrated today in India and other parts of the world. Fireworks, lighting lamps, candles, bulbs, etc., are an integral part of Diwali festival. Every year after Diwali, a colorful picture of India, as seen from space, is circulated on social networks. We are sorry to point out that picture isn’t the one from a Diwali night. The fake image being circulated each year repeatedly on social networking sites and other internet websites is from the U.S. Defense Meteorological Satellite Program (DMSP) satellites. It was created by NOAA to highlight the population growth over the time. It’s not even a single photo, it’s a combination of many photographs and data collected over the years. In this image, white areas show city lights that were visible before 1992, while blue, green, and red shades show city lights that became visible in 1992, 1998, and 2003 respectively. “An image that claims to show the region lit for Diwali has been circulating on social media websites and the Internet in recent years. In fact, it does not show what it claims. That image, based on data from the Operational Linescan System flown on US Defense Meteorological Satellite Program (DMSP) satellites, is a colour—composite created in 2003 by NOAA scientist Chris Elvidge to highlight population growth over time.” – NASA. 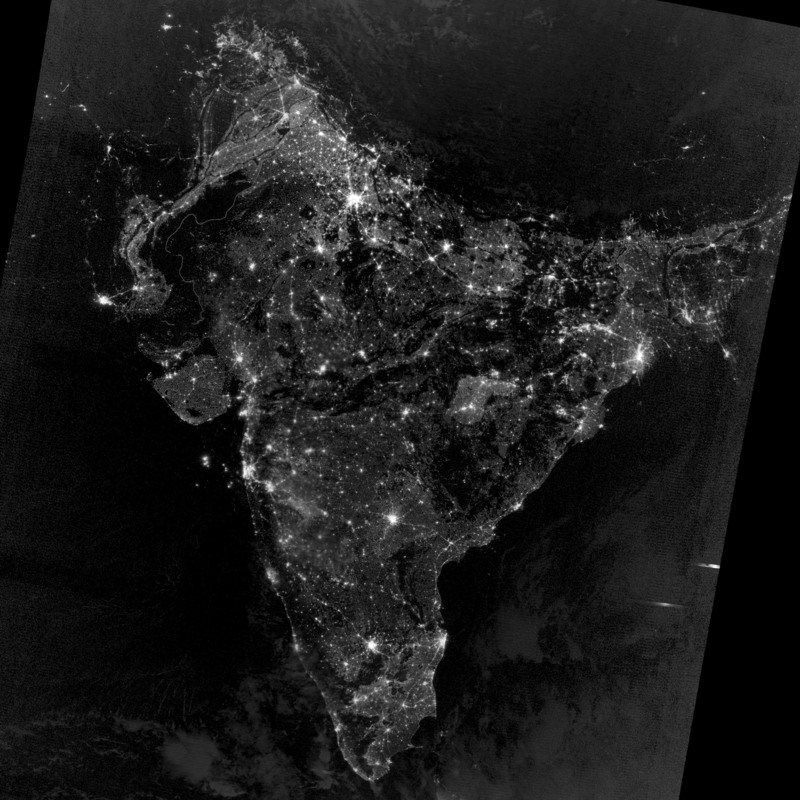 The real picture of India from space on Diwali night was taken on November 12, 2012, by the Visible Infrared Imaging Radiometer Suite (VIIRS) on the Suomi NPP satellite. This picture shows the night-time view of Southern Asia. This image is created with the help of data collected by this VIIRS day-night band. This image has been brightened to a good extent to make the city lights easier to see and distinguish. The big cities and towns of India are the brightest. Cities in Pakistan, Bangladesh, Nepal are also visible in this image. Did you find this article interesting? Don’t forget to share your views with us.